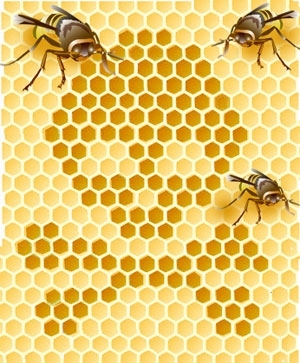 To the general population, honey bees are the producers of the sticky, yellow sweetener we use in tea and on our toast. Most people don’t recognize the importance these busy, little bees have on the US Agricultural system. As pollinators, honey bees are largely responsible for the fruits, veggies and nuts that make up a huge portion of our diet as well as important crops such as cotton and coffee. The last several years have not been kind to the honey bee population. It has been quickly diminishing for a number of reasons that have yet to be pinpointed. This quick deterioration of this important insect population has raised some serious concerns about the future food supplies and how they may be affected by this loss in the United States. The honey bee is a truly remarkable creature. Known as the worker bee, this insect is responsible for the pollination of a significant amount of the crops that work to feed the American population. Pollination, is the process of the transfer of pollen between plants by insects, birds, butterflies and bats. Pollination allows plants to create seeds and reproduce. Honey bees play an enormous role in the pollination of country’s crops. The White House has taken great interest in protecting this insect population. The White House highlights in this report that honey bees contribute to the production of at least 90 crops grown in North America and contribute over $15 billion yearly to the US economy and keeping us heathy by keeping fruits, nuts and veggies in our diet. 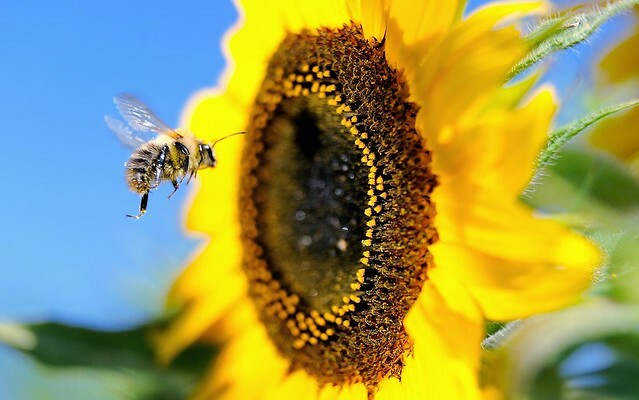 They further state that pollinators (honey bees, native bees, birds, bats, and butterflies) are responsible for pollinating 87 of the leading 115 food crops, contributing to 35% of global food production, that’s a huge number of crops that need this little guy around! 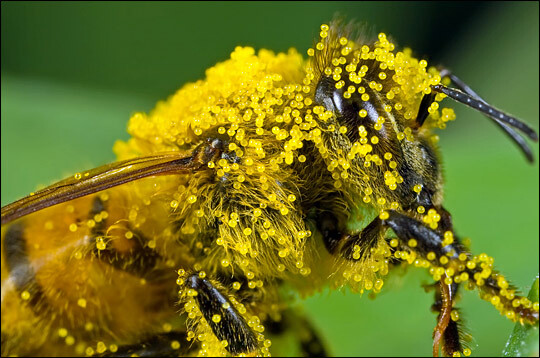 Close up of a bee and pollen. “Insect pollination is integral to food security in the United States”, the White House report said Many crops, such as almonds, rely entirely on honey bees for pollination. The decline of the bee population is troubling and very concerning for the future of domestic agriculture. The honey bee population has experienced a steady decline over 60 years. In 1947, 6 million colonies were present, 4 million in 1970, 3 million in 1990 and 2.5 million today. Since 2006, honey bee colony loss rates have more than doubled to an average loss of 30% per winter, from the acceptable loss rates of 10-15%. There are a number of stressors that are believed to be negatively impacting the honey bee population. Colony collapse disorder (CCD) is an unusual phenomenon that is responsible for killing a large portion of the deteriorating honey bee population. 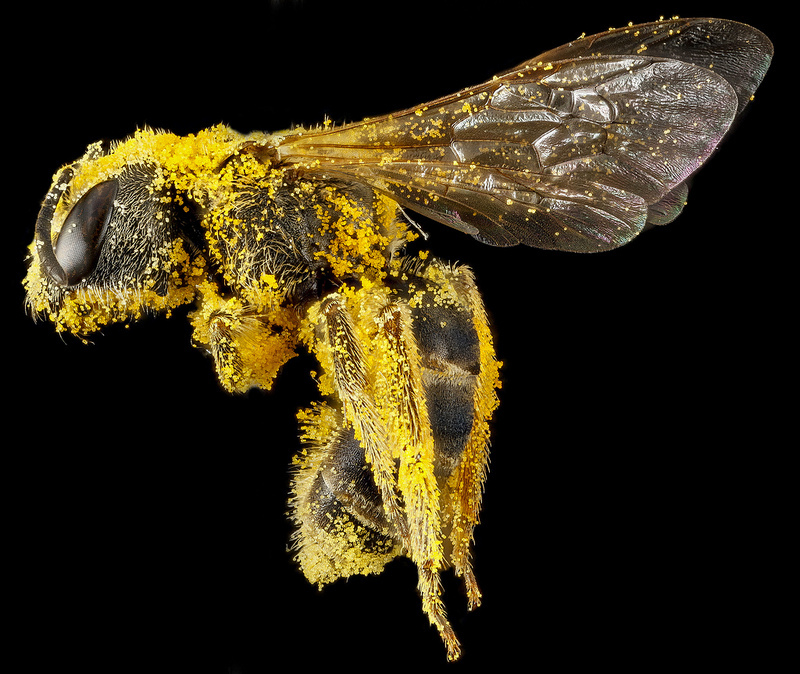 CCD first occurred in 2006 when beekeepers noticed large losses (30-90%) of their hives. The mystery of CCD is that the bees appear to disappear from the hive. CCD is characterized by little or no adult honey bees, no dead bee bodies but a live queen and sometimes live immature bees. The dead bodies of the adult bees are typically never found. The mystery of CCD and cause of this strange occurrence has not yet been determined but plenty of research dollars are fueling developments. The US Department of Agriculture states that current research has scientists looking into four general causes of CCD; pathogens, parasites, management stressors and environmental stressors. While it is unlikely that one pathogen is the culprit of all cases of CCD, there are a few pathogens being considered: Nosema, Israeli Acute Paralysis Virus a well as currently unknown pathogens. The parasite, Varroa mites, have often been found in colonies with CCD however it is not currently known what impact these mites have on the occurrence of CCD. The primary management stressor being considered by scientists is the effect of poor nutrition and overcrowding and if these elements are contributing to CCD. There are many environmental stressors considered in the CCD mystery. The primary environmental stressors to take into consideration include the use of pesticides, pollen/nectar scarcity, and limited access to water or only access to contaminated water. 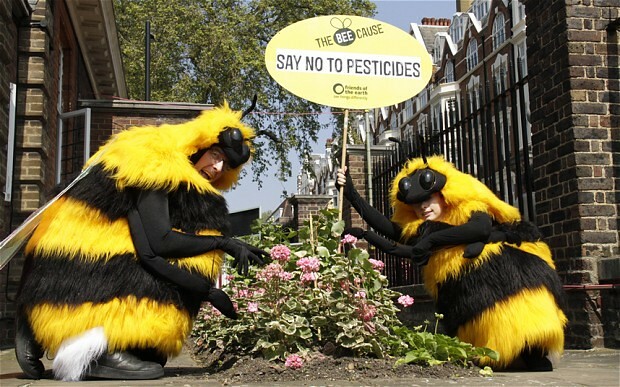 The use of pesticides has shown to have a negative impact on the honey bee population. Pesticides may cause honey bees to experience neurological issues. Protecting the bees from pesticides is an important element of working to restore their population. Honey bees can be exposed to toxic pesticides in several different forms. They may be attracted to pools and puddles of water, especially during dry periods. If these pools or puddles are located in an area recently sprayed with pesticides, the bees may find themselves in danger. Additionally, bees are attracted to blooming weeds. If said weeds are located near corn or soybean crops that have recently been sprayed, the honey bees are exposed to the poison. Cooperation between growers, pesticide applicators, and bee keepers can help to reduce pesticide exposure to honey bees.. Bee keepers within 2-3 miles of pesticide application should be made aware of the scheduled application of pesticides 2-3 days prior. Doing this allows the beekeeper the opportunity to confine his bees or move them to another location (in the instance of a residual leaving pesticide). Communication between all parties involved is essential in working to restore the honey bee population. Mite infestations are being investigated as part of the cause of CCD but mite presence in a colony does not definitively mean that CCD will occur there. Mite presence, however, still leaves very negative effects on the honey bee colony. Particularly, the varroa mite, which leaves the bees deformed and shortens their lifespan, is the most common bee pest. These mites were first reported in 1991 and are known for sucking the blood of the adult bees as well as the emerging brood. This results in a shortened life of adult bees and a deformed emerging brood. The mites are most commonly seen on the abdomen of the bees, hiding between the bees’ abdominal segments. Tracheal mites were discovered in the 1980’s and represent another mite dangerous to the honey bee population. These mites spend their lifecycle within the trachea and respiratory system of adult honey bees . The tracheal mites then feed on the bees’ blood by piercing the tracheal wall. This mite is associated with bee muscle damage and may inhibit their ability to fly. Many times colonies with tracheal mite infestation will display no symptoms and will appear normal until their death that winter. Menthol crystals can be utilized to control tracheal mites, however, they can only be utilized in specific temperatures. Climate change represents another element that can negatively affect the honey bee population. Droughts and floods pose as two climate threats to the bees. Additionally, flowers blooming prematurely due to an early warming climate are not helpful to the bee population. The lengthy, cold winter of 2013-2014 was particularly damaging for honey bee colonies. The bees respond to the cold by maintaining the center of their nest at room temperature. This is done by their metabolizing of honey. This method is very effective but can be difficult during long, cold winters as the fuel begins to run scarce. Unlike CCD, winter bee loss is evident by the death of the bees, inside the hive head down in the cells after eating through the final honey stores. The decline of the honey bee population poses a very serious threat the domestic agriculture in the United States. Given this, many governmental agencies have become involved in funding research to identify and remedy the causes related to the loss of this vital insect. In March 2014 President Barack Obama formed a task force dedicated to addressing the issue of declining honey bee populations as well as populations of other pollinators. “The President’s 2015 Budget recommends approximately $50 million across multiple agencies within USDA” dedicated to determining the impacts and cause of pollinator losses, the White House said. [http://www.whitehouse.gov/the-press-office/2014/06/20/fact-sheet-economic-challenge-posed-declining-pollinator-populations] This money is intended to double the size of the Conservation Reserve Program, land that is dedicated to pollinator health and to increase funding for research to identify the reason behind the recent pollinator losses. Additionally the Pollinator Health Task force will work to develop a research action plan designed to learn about, prevent and recover from recent pollinator losses. The general public can play a role in helping the honey bee population.The USDA states that the public can improve honey bee survival by refraining from or increasing the cautiousness of the application pesticides. If pesticides are unavoidable, the USDA recommends avoiding application in the middle of the day, when honey bees are out. Try planting pollinator-friendly plants. Plants that offer good sources of nectar and pollen include red clover, floxglove, bee balm, joe-pye weed and other native plants. This offers a simple way for the us regular folks to join the effort of saving this vital insect population, the honey bee.